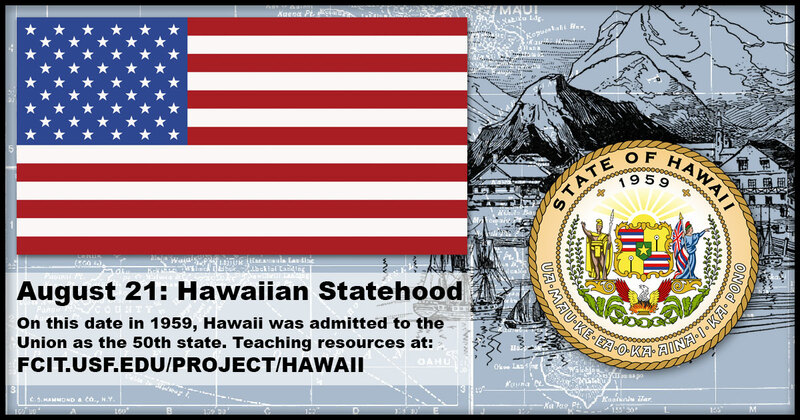 On this date in 1959 Hawaii became the 50th state. Share this banner on social media to celebrate the addition of the 50th state to the United States of America. The 50th star on the U.S. flag represents Hawaii. Illustration from the ClipArt ETC website. 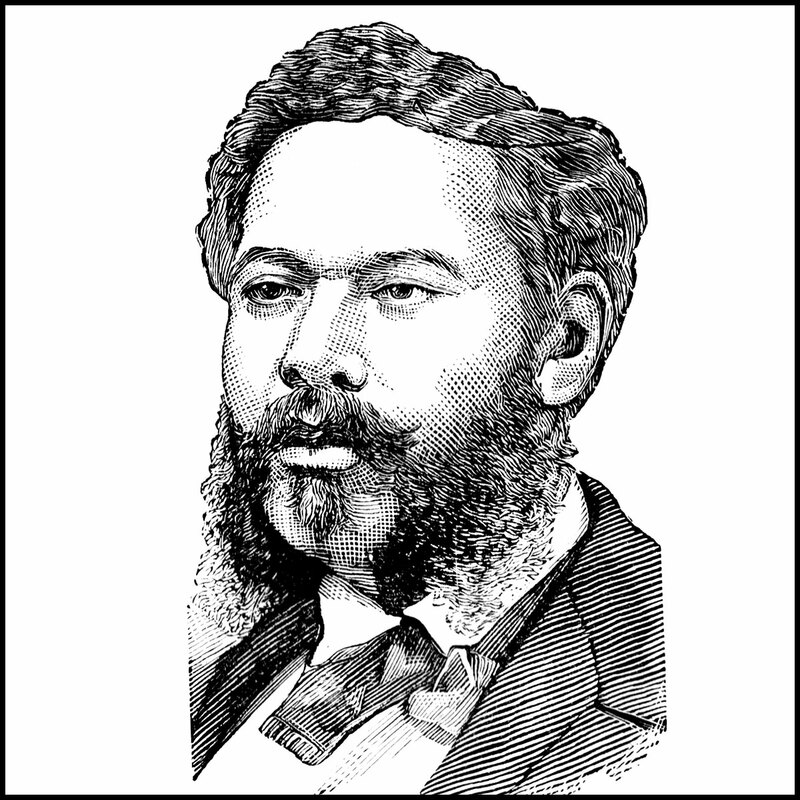 Portrait of James Cook from the ClipArt ETC website. 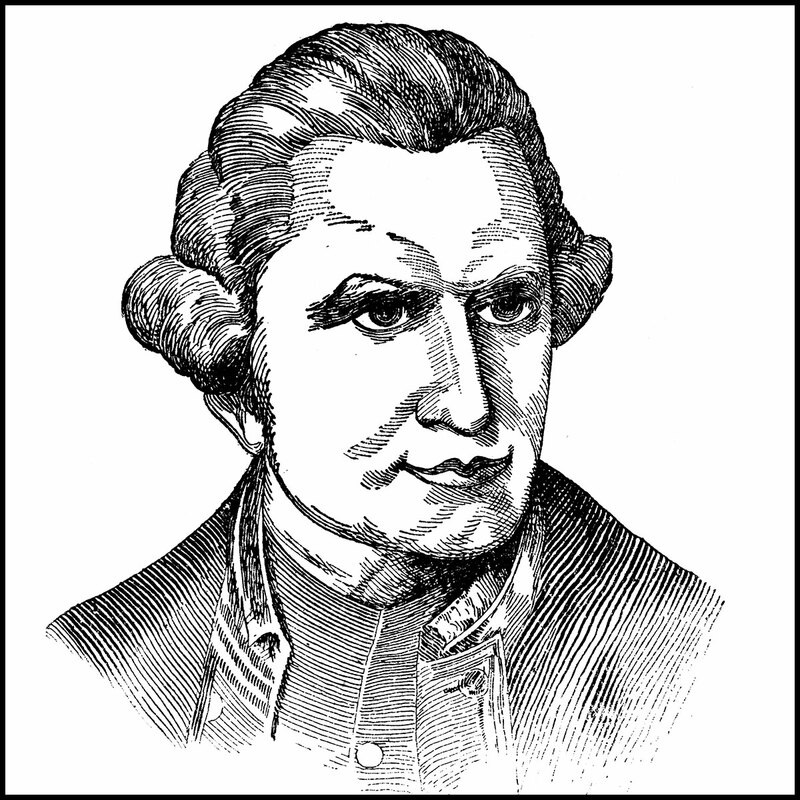 Captain Cook was the first documented European to make contact with Hawaii. 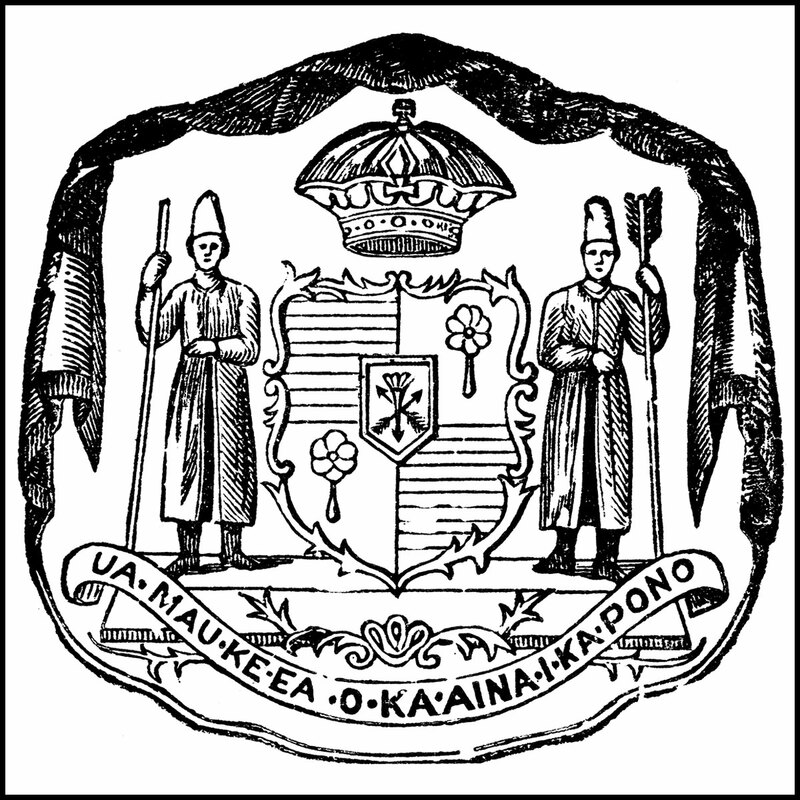 David Kalākaua was the last king of Hawaii reigning from 1874 until his death in 1891. Illustration from the ClipArt ETC website. 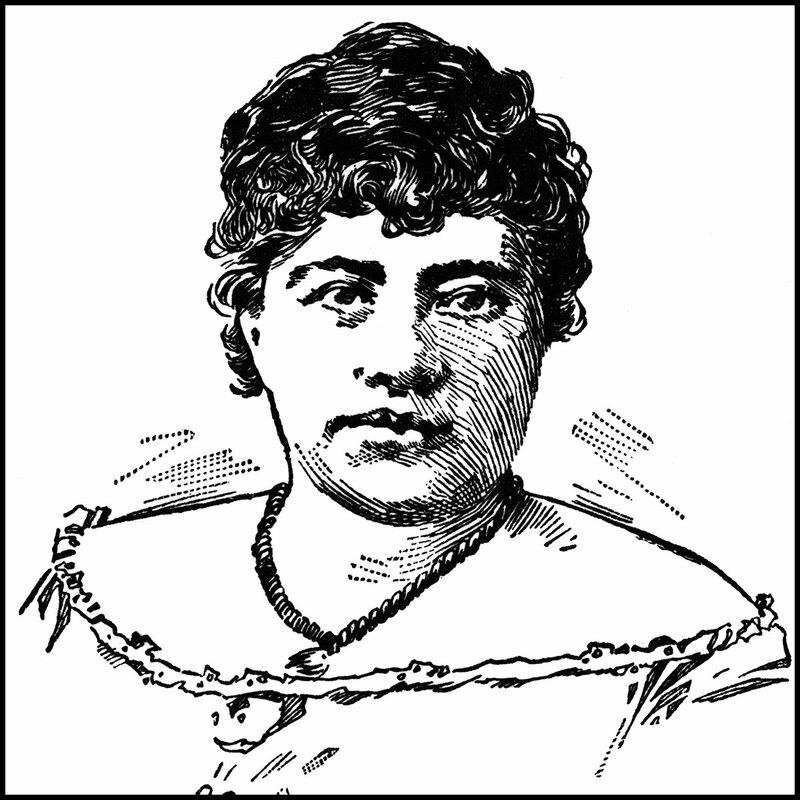 Lydia Kamekha Liliuokalani was the last monarch of Hawaii reigning from her brother David’s death in 1891 until the overthrow of the monarchy in 1893. Illustration from the ClipArt ETC website. 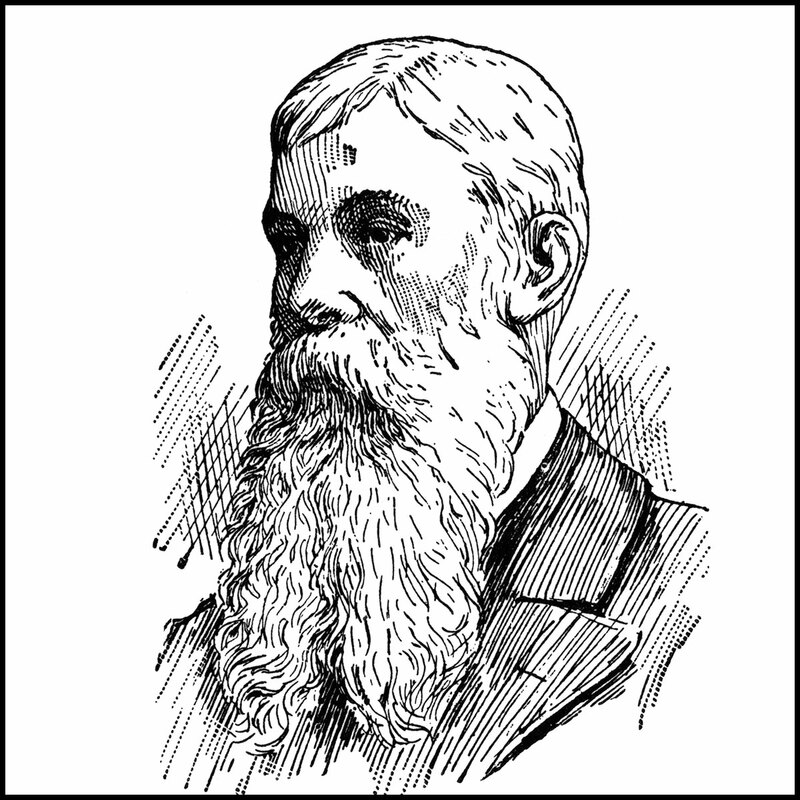 Sanford Dole was President of the Republic of Hawaii from 1893-1900 and Hawaii’s first territorial governor from 1900-1903. Illustration from the ClipArt ETC website. 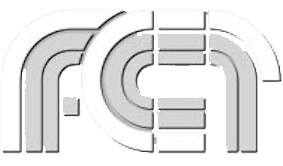 XXXXX from the ClipPix ETC website. 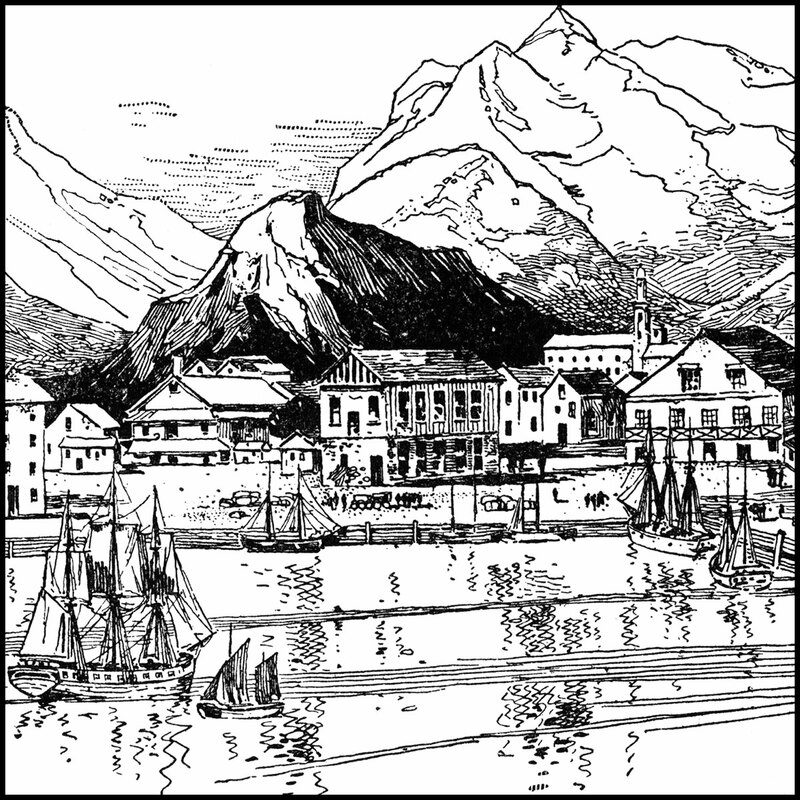 View of Honolulu harbor in the early 1800s from the ClipArt ETC website. 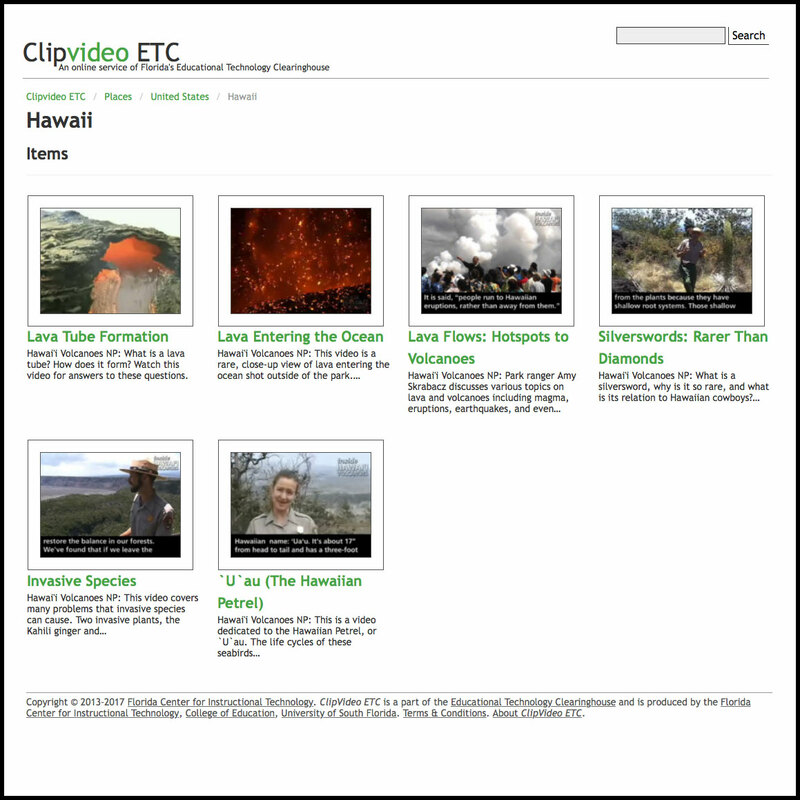 Six videos by the Hawai’i Volcanoes National Park available on the ClipVvideo ETC website. 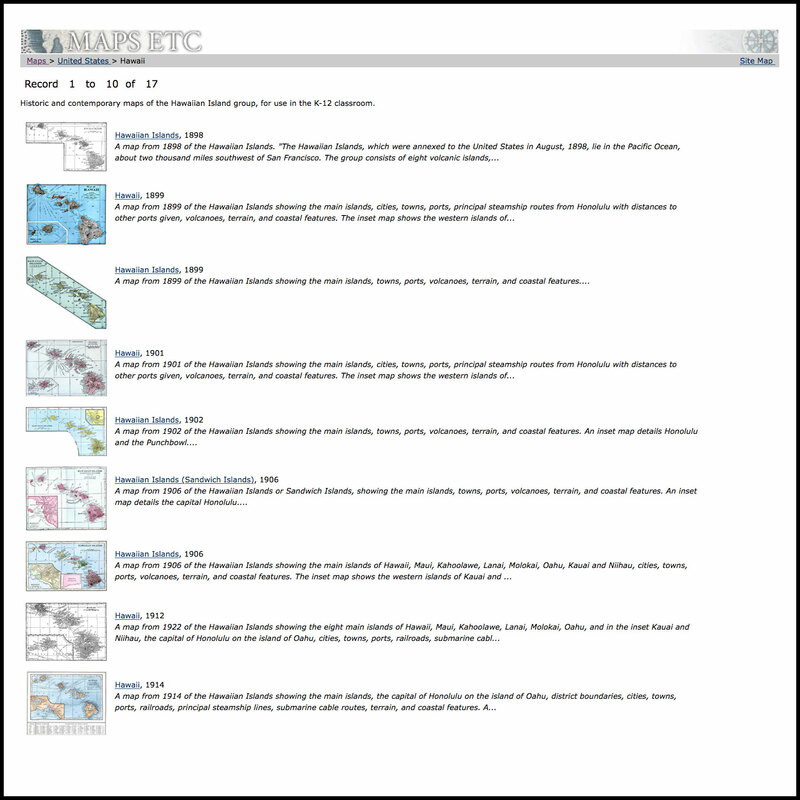 A collection of historic maps of Hawaii from the Maps ETC website. 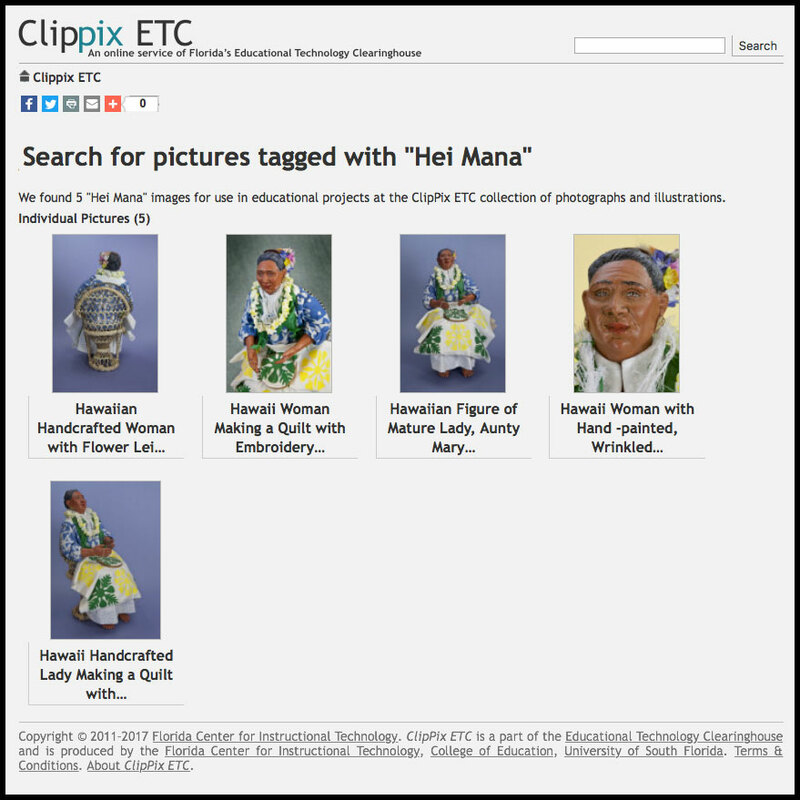 Hawaiian doll from the ClipPix ETC website.